In 2017, the Semantic Web Challenge – the longest-running and highly prestigious competition in the area – introduced a new format to measure scientific progress in the field of artificial intelligence (AI) over the web. To enhance reproducibility, competing teams were measured against each other. Each team’s contribution was also measured against the current state of the art, based on the FAIR benchmarking platform. This year’s challenge focused on knowledge graphs. Both public- and privately-owned. Knowledge graphs are currently among the most prominent implementations of semantic web technologies. The 2017 SWC Winning team from IBM received the ‘Big Elsevier Check’ to the value of one Bitcoin (approximately USD 5500 / EUR 4740). All competing SWC teams will be featured in a special issue of the Journal of Web Semantics. 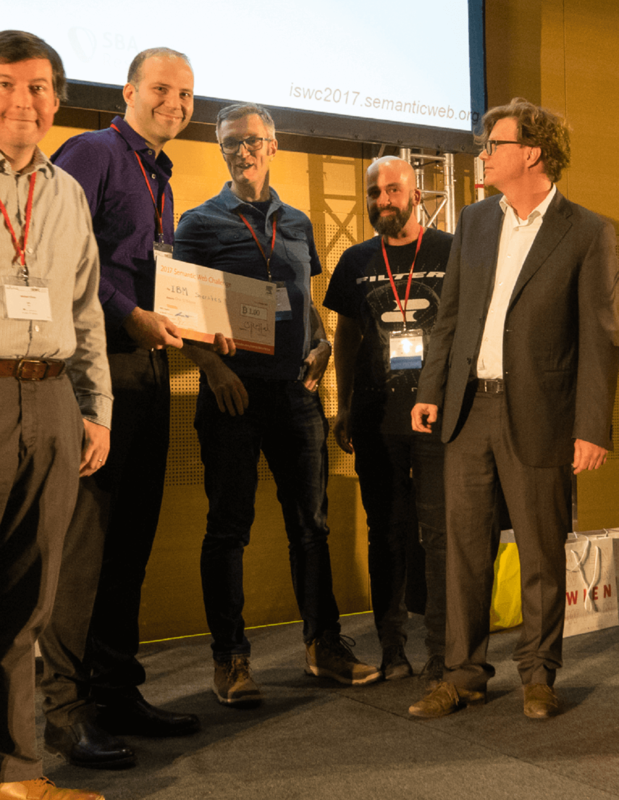 “Elsevier remains a proud sponsor of the Semantic Web Challenge as it clearly illustrates what the Semantic Web Community can provide to the world by highlighting the state-of-the-art developments in AI and web technology. Furthermore, by allowing researchers to showcase their work and benchmark new solutions against their peers, as well as the state of the art, stimulates reproducible research in this exciting field,” said Sweitze Roffel, Senior Publisher in Computer Science at Elsevier. The International Semantic Web Conference (ISWC) is the premier international forum for the Semantic Web and Linked Data Community. At the conference scientists, industry specialists, and practitioners meet to discuss the future of practical, scalable, user-friendly, and game-changing solutions for AI on the web. ISWC is organized annually by the Semantic Web Science Association and typically rotates between America, Europe and Asia.